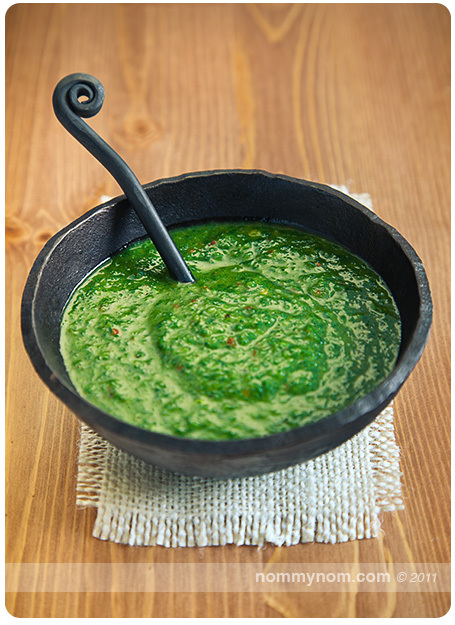 The first time that I tasted Chimichurri sauce was 6 years ago, almost to the day. I had taken my guy out to the Buenos Aires Grill for his birthday, where we feasted on delicious steaks slathered in this herby, zesty green sauce. At first glance I thought it was just another pesto, but then I tasted it. It tasted fresh and green, like an herb garden is dancing all over your tongue, followed by a little kick of heat to remind you that you are alive and finally a slight tangy kiss of vinegar. Love at first bite. Memorial Day is just around the corner – grills are coming out of winter hibernation and getting ready to receive the first choice cuts of meat or the first fresh veggie kebabs of the season. Instead of regular old Barbecue Sauce like every other year, you should give my tasty friend, Chimichurri a turn at the grill. Last week my Father-in-Law was up for a visit. For his last night with us I wanted to make him a special dinner, something where he could taste the love. I headed up to Bill the Butcher to take a peek at their selection and finally get a chance to meet the voice of their Twitter, Teri. As some may remember, there was an article about Bill the Butcher quite a while ago. That article did not say the nicest of things. Admittedly, I had made it a point to stay away based on what I read… until recently. Teri took me through the shop, introduced me to their butcher, Zach – super nice guy. They put the questions I had to rest with full disclosure about the types of meat they offered and from where they all came from. They have their customers best interests at heart and are moving forward with lessons learned. I’m really glad that I gave them a shot because the Painted Hills New York Strips that I picked up ended up being that special dinner I was looking for. When I got my haul of beef goodness home, I started brainstorming ways to prepare the steaks. One of my favorite places to mull things over is in my Herb Garden, so I headed out to collect a few snips of this and a few snips of that when inspiration hit me. Chimichurri!!! I have everything I need right here! 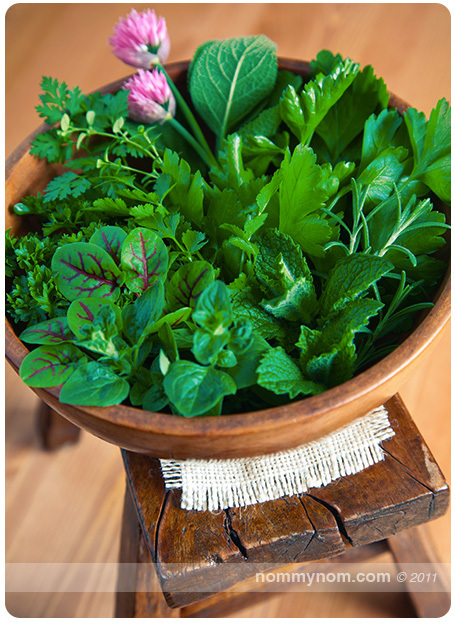 So I set to work gathering up the rest of the herbs I needed to make that magical green sauce of the Gods. Now my Chimichurri recipe may not be your Argentinian Grandmother’s traditional recipe, but it is absolutely divine in its own right. It also doubles as a magnificent marinade for meat and vegetables, and I’ve also used it as a base for a vinaigrette. It’s versatile, it’s delicious, it’s super easy and I am so pleased with it I want to share it with you. Add all ingredients in to a food processor or blender. Pulse until all the ingredients are well combined. Serve immediately, or put the sauce in to an air tight container and store in the refrigerator for up to one week. This is the dinner that I made for my dear Father-in-Law. 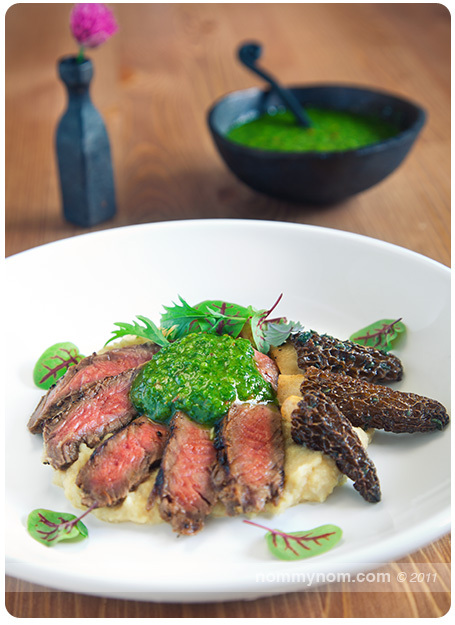 Grilled Painted Hills Strip over Celery Root Purée with Chimichurri and Morels from Earthy Delights. When we were all finished we sat around savoring all the beautiful flavors that still danced on our tongues. I would have to put this up in my top 10 best tasting dinners I have ever made and the star that tied it all together was this Chimichurri. 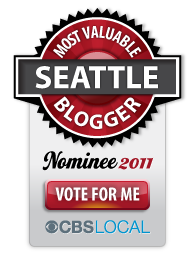 Full disclosure: I have received no compensation from any business or organization mentioned for this article. I feel obligated to note: Zach the Butcher slipped 2 pounds of Heritage Duroc Bacon in to my large paid meat order. Also, those cool black steel bowls are handmade gifts given to me by my talented Father-in-Law Gert Rasmussen, who happens to be an artisan Blacksmith. This entry was posted in Gluten Free, Recipes, Vegan & Vegetarian and tagged Argentinia, bill the butcher, chimichurri, condiment, herbs, pesto, piquant, pistou, recipe, sauce, steak, steak sauce. Bookmark the permalink. Great minds think alike. I made Chimichurri over Memorial Day weekend as well. I marinated some succulent little chicken thighs in half of it, grilled them, and then warmed up the remainder Chimichurri to serve along side. It was almost as good as Painted Hills beef would have been. I had some of their short ribs when I was in Boston last winter – outstanding! Lovely post, and it sounds as if you had a lovely weekend! Yum, that sauce looks divine! I’ll give it a try! Thanks all! :) Since making this Chimichurri I’ve probably made it another 4 or 5 times since. I think it’s such a perfect compliment to Summer and the grill. Makes me want some more – right now!